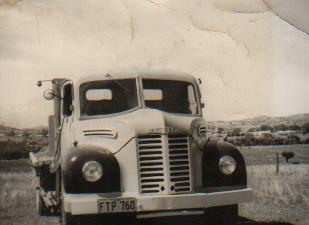 Pout's Transport started from a humble beginnings in Northern N.S.W. 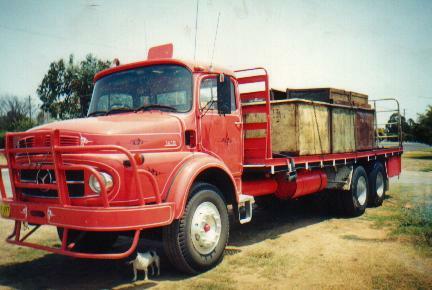 in the small town of Manilla or as some people know it Stan Coster Country.The company started with a small amount of cash and the first truck was purchased from Tamworth.the owners worked in and around the Manilla District carting hay and livestock for two years the business was then relocated to Sydney working throughout the city until in 1968 a final move was made to the township of Forbes where it still remains today carting wool,wheat and gereral freight throughout Australia.The business has now grown to accomodate four prime mover, six trailers one tabletop and three forklifts and employes a staff of six people.The wheels are kept turning as a result of the many satisfied custumers who trust their products in the hands of a professional business. Our Business Philosophy is to maintain that the custumer is always satisfied with the service provided and the customer is always number one. and will only be too happy to answer your questions or put you in touch with the right person. 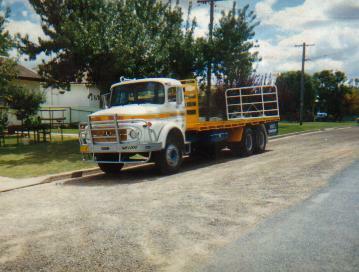 Pouts Transport operate between Forbes to Sydney,Newcastle,and all other destinations by arrangement.To arrange a quote for your freight just give us a call. 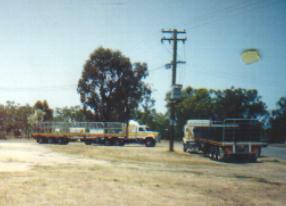 and from time to time we employ casual staff to wash trucks and do odd jobs within the business.